Belize NMS: A dry southeasterly airflow prevails. Mainly fair weather expected through the weekend. 24-hour forecast: Mostly sunny and warm today with the chance of an isolated afternoon thunderstorm developing inland. Partly cloudy tonight with isolated showers mainly over coastal areas. Winds: East-southeast at 5-15 knots. 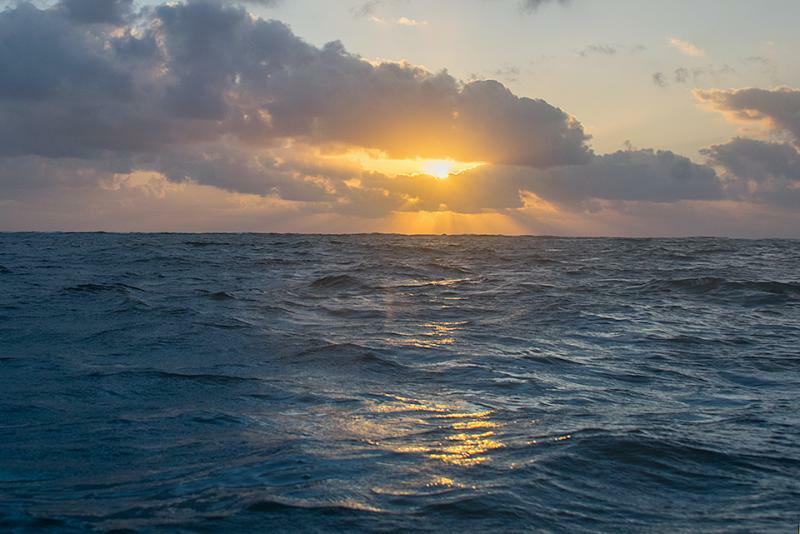 Today: Winds: SE 5-15 kts (becoming east late); seas: Choppy; waves: 3-4 ft; little or no rain. Tomorrow: Winds: NE 5-15 kts; seas: Light chop; waves: 2-3 ft; isolated showers. Marine Outlook: (Thursday night) Light east winds, light chop seas, with the chance of only isolated showers. General Outlook: (Thursday & Thursday night) Partly cloudy with only isolated showers developing. On Ambergris Caye this morning the wind is from the South-East at 9 mph. Our expected high is 88f. Looks like a sunny day ahead. Strange weather, no Caribbean easterly wind, that has been diverted, going up northwards, presently there is a very light SW air movement and fog due to clear night sky. The two cold fronts, one over Florida, the other over northern Mexico have both broken up and disappearing. There is very little cloud at any height around at present. Looks like today will be largely sunny when the fog burns off, then white clouds developing, no rain expected. Navy picture showing what is happening. 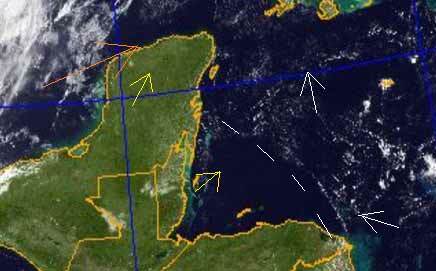 There is some SW air movement, deflecting the Caribbean air upwards. 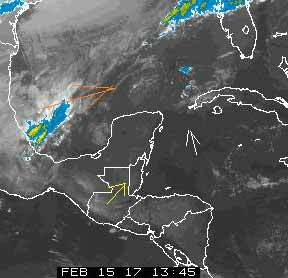 The high level SW winds only have significant cloud over Mexico. 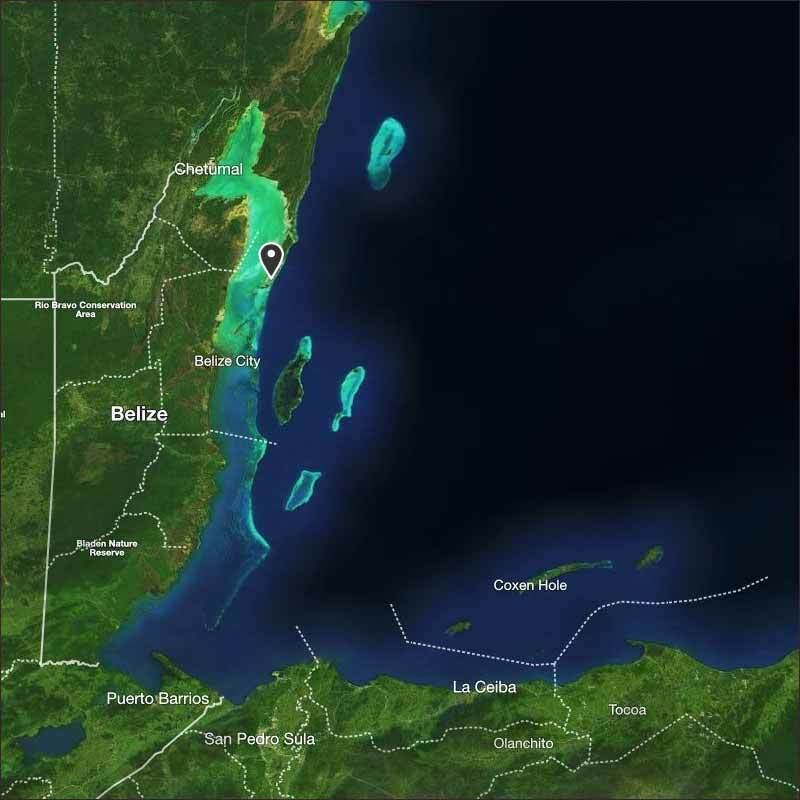 The remaining fog over Belize is rising and forming into white clouds.